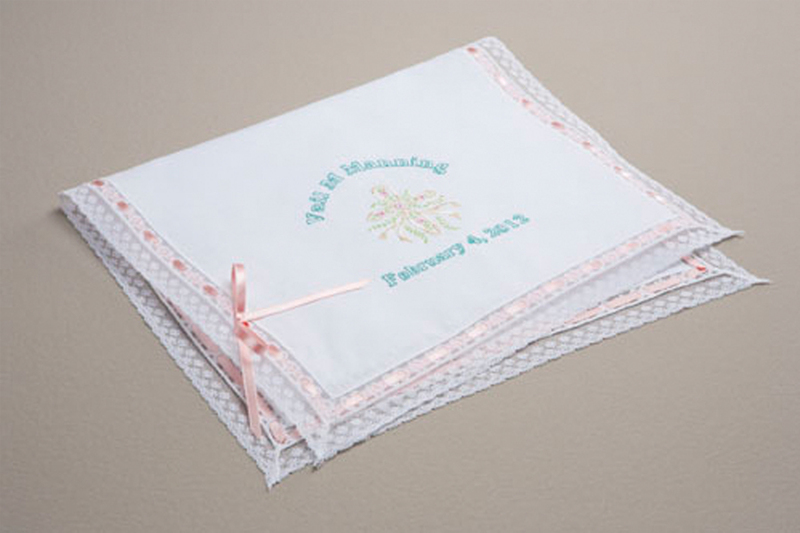 This beautiful and elegant – yet totally functional – burp cloth would be a perfect addition to your baby’s christening day. Babies are known to share their spit-up with their closest family and friends. This burp cloth will keep your little girl or guy – and the godparents – looking crisp and clean on their special day. 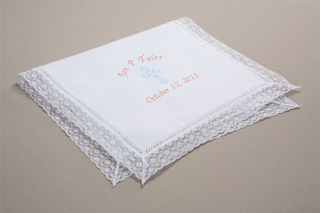 It will also be a great memory of their christening day to include in their memory box. Baby Fine Flannel – Hand wash in luke warm water with gentle soap. Air Dry or Line Dry and press. May be dry cleaned. After placing your order, please contact our designer to discuss your custom embroidery.